Read what Abroad101.com has to say about us! Abroad101 is the first and largest study abroad review website. Abroad101’s mission is to promote global citizenship by fostering the most meaningful study abroad experience for all students through technology innovation in international education. This article below was written by Amy Bernstein and published in their blog. Today Poland stands as a strong and sturdy country who’s successfully emerged out of a difficult period as a socialist society. It’s shown tremendous change over the last 10-15 years, developing into the modern cultural center it is today. It’s continually attracting more visitors and students to study in Poland as people uncover this gem in the middle of Central Europe. Today we are highlighting the fabulous Study Abroad Poland Program which boasts marvelous academic opportunities to study in Poland, coupled with the best cultural experiences available. Choosing to study abroad in Poland will give the typical student an invaluable opportunity to learn about Poland’s past, present and the role it’s played in our world. No other country can boast such a success story as rebuilding after its damaged past. The burgeoning cities and gorgeous landscapes will draw in visitors to the lakes, rivers, mountains and even beaches. Warsaw, Poland’s capital for the last 400 years is just one location for Study Abroad Poland. It’s a thriving metropolis with a strong economy and the city boasts both old and new architecture as students will notice as they walk through the neighborhoods of today and the “old town” which has been reconstructed after past destruction. If you’re considering studying in this beautiful country, Study Abroad Poland maintains fabulous programs that will provide the experience of a lifetime. The variety of programs available will allow for a deep understanding of this wonderful country, its place in society and of course, the beautiful Polish language. Students can choose from semester, summer or full-year academic sessions and programs in business, international relations, Polish cultural studies, electrical/computer engineering and more. There are also internship and volunteer placements available while you study in Poland. In addition to programs in Poland, Study Abroad Poland is a division of Study Abroad Compass which also provides programs in in the Czech Republic, Slovakia and Ukraine. Study Abroad Poland ensures that students receive not only the highest quality classroom education, but a packed schedule of cultural excursions such as city tours, BBQ’s, bowling and museum visits. There will also be free weekends available for students to explore neighboring countries so they can get to know more of Central and Eastern Europe during their time abroad. 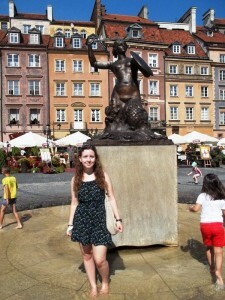 Another student from a summer program in Wroclaw, Poland said “Wroclaw is an amazing city to go to in Poland. It is so beautiful and charming and everyone that I met there was friendly and caring. If you want to actually learn Polish, this is the program for you.” Read even more from this review here. 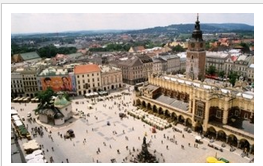 Still looking for more information on Study Abroad Poland? They have a fantastic website with answers to all of your questions as well as great resources and tips. Get in touch with them to find out more and apply today. Want to read insider reviews from fellow study abroad students? Click here to find your perfect program!